A couple of years ago, the science department decided on a list of “ins-and-outs”, or skills that we wanted each student to develop before they left a specific year in school. 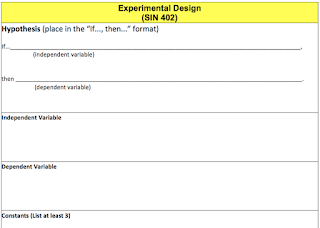 A significant amount of these ins-and-outs related to the scientific method and experimental design – crucial skills that students needed to development in lab based classes. Based on the common skills (hypothesis writing, identifying variables, data organization, procedure and conclusion writing) we came up with the lab matrix. A snippet of the lab matrix. 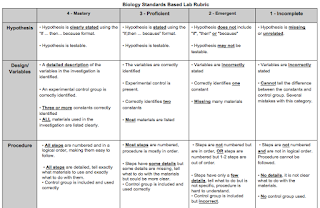 This matrix provides a nice framework for students to organize their experiments coherently. It also provides an opportunity to drive instruction towards a specific skill development. For example, the focus for our freshman is hypothesis writing, graph construction, and identifying variables. When designing our labs, as a team we can decide how much scaffolding to provide based on the skills we want to focus on. 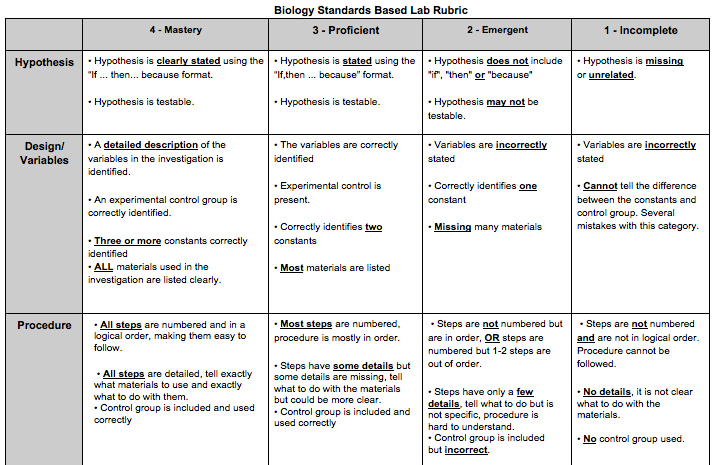 This Summer, myself and the biology team designed a rubric to help assess a students progress on specific parts of the experimental design. 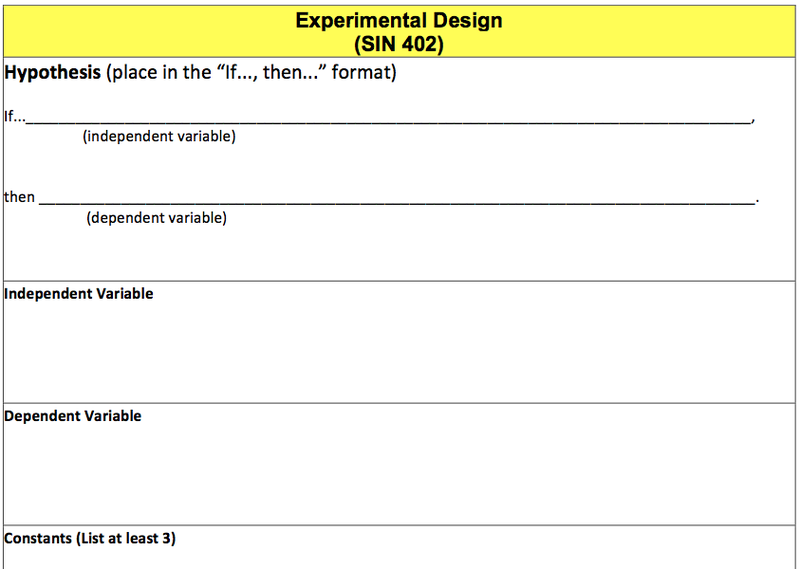 Part of the experimental design SBG rubric. This rubric can also be used to help peer-assess as students become more familiar with it throughout the course of the year. The goal is to, by the end of the year, have student progress on all of these skills so they enter sophomore year with a solid foundation that they can build on.